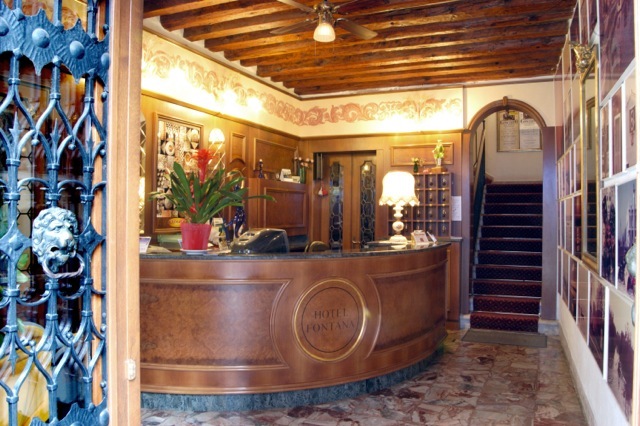 Check-in: 1:00 p.m. – 12:00 a.m.
A gem of hospitality in the most authentic heart of Venice, the Hotel Fontana is a friendly family run hotel situated in a quiet and easily accessible location from all means of public transport. 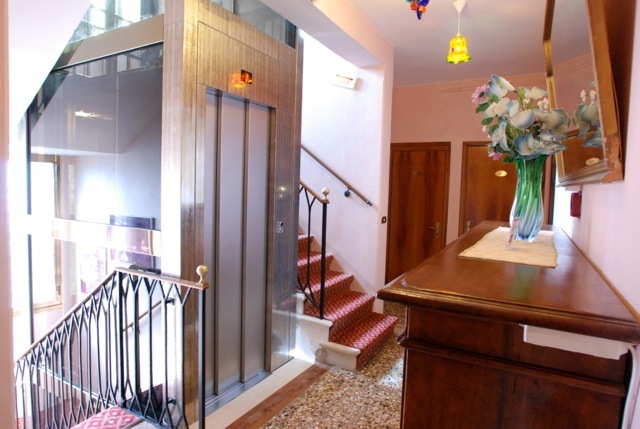 A relaxing atmosphere and friendly professional staff, pleased to welcome you as guests, makes the Hotel Fontana the ideal choice for a pleasant stay, just a short walk from St. Mark’s Square and the Doge’s Palace. 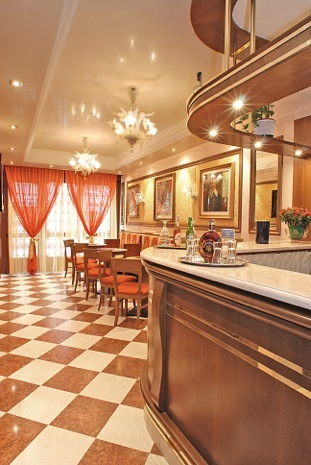 The hotel features a lift, TV room and 24 hour bar; Wi-Fi connectivity is offered free of charge to all guests. 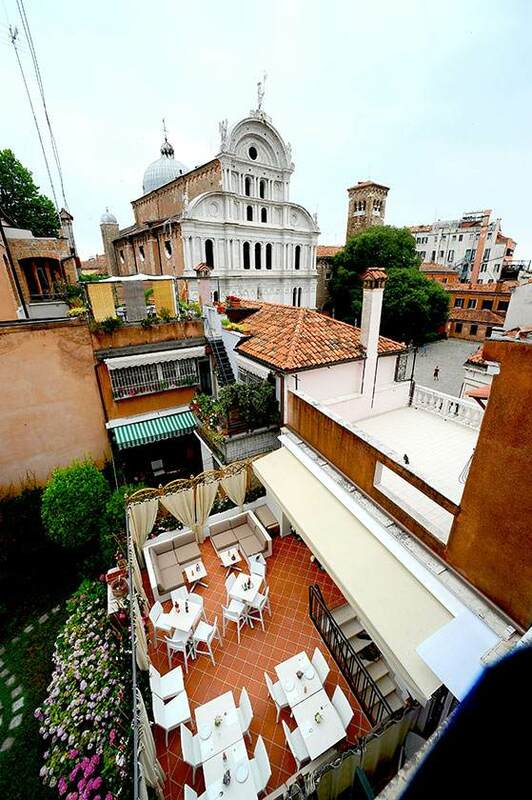 The Hotel Fontana is situated in a 19th century Venetian palace, renovated and converted into a comfortable hotel, after having housed a convent for over thirty years. 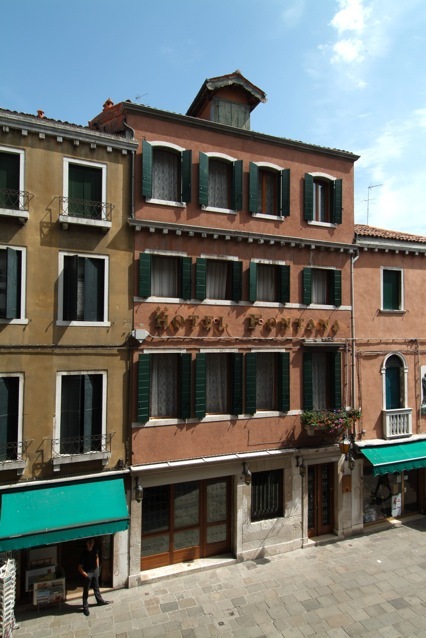 Since 1968, the establishment has been successfully managed by the Stainer family, which has maintained the original owner’s name, who resided here in the 19th century. 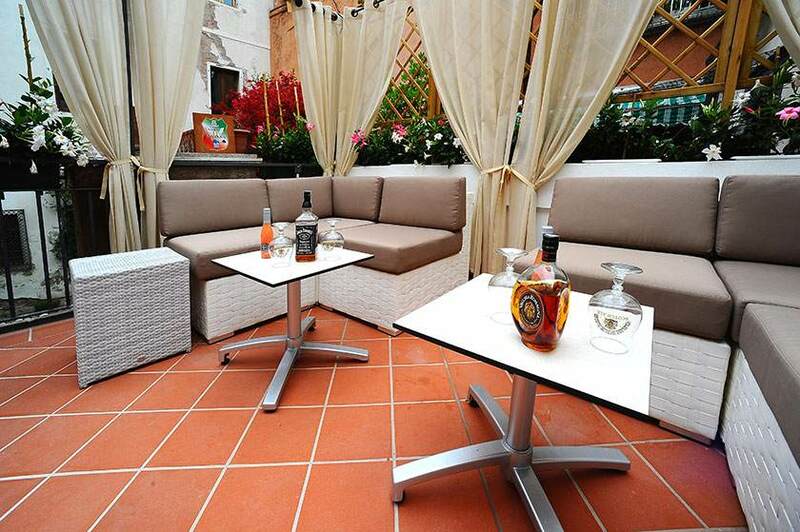 The facility can now boast of a new terrace with comfortable sofas and coffee tables. 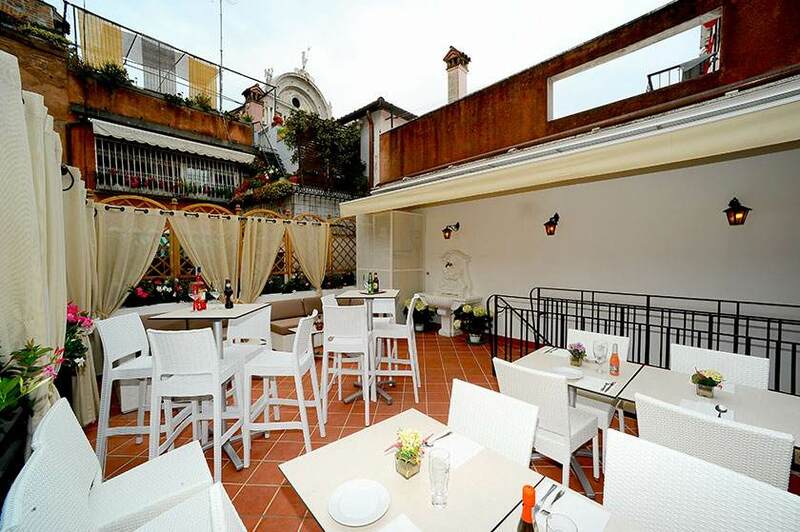 Guests can enjoy this area during the entire day: for breakfast, for a soda or tea during the afternoon or to just plain relax with a good book up until the evening when they can sip their favorite cocktail in the peace and quiet of the Venetian atmosphere. 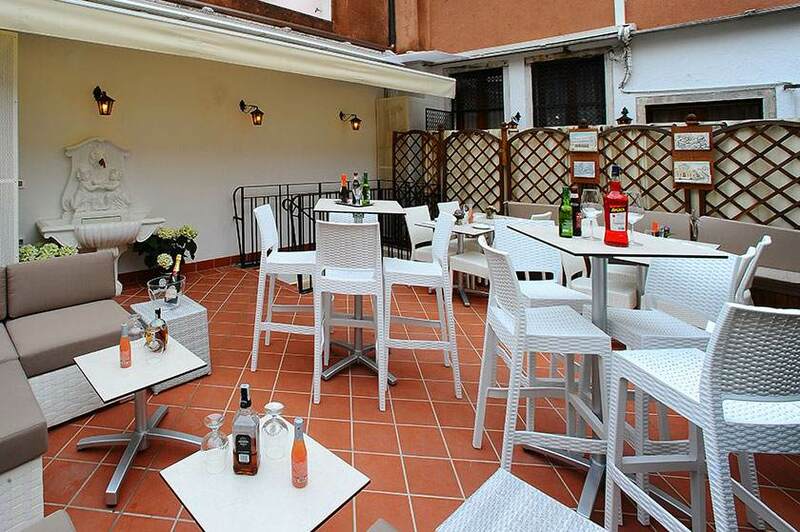 Free Wi-fi is available throughout the entire terrace.